CONNECTING TO CUSTOMERS: Mammut is the first outdoor brand to use NFC to link physical products to an immersive digital experience. 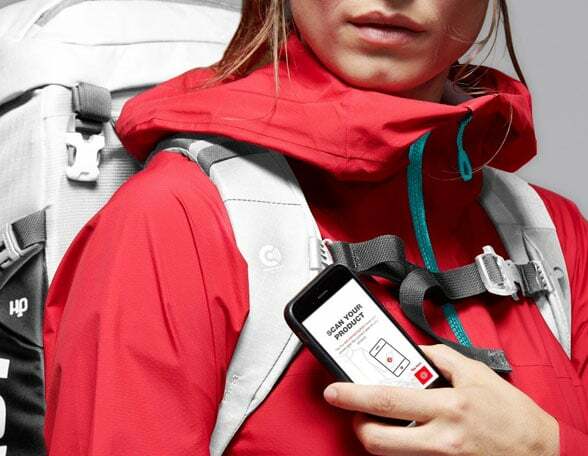 Swiss mountain sports equipment brand Mammut has launched a mobile app that uses NFC to support retailers that stock its products and provide “a new way of bringing emotional and interactive product information to the consumer”. Mammut is the first outdoor brand using NFC and also one of the first sports brands with an experience-based concept behind the technology, says the company. Every item in the Mammut Connect range is fitted with an NFC tag from Smartrac when it is manufactured. The tag enables customers to link to the Mammut Connect App by scanning their purchases with their smartphone. They can use the app to extend product warranties, discover virtual hashtags and share product feedback. It also provides Mammut with a link between the product and the customer post-purchase. According to Mammut, in store: “the app and its content support retail channels with in-depth product information to enhance the sales process”. It says Mammut Connect also “offers services and after sales offers for unique consumer experiences which again offer new ways of collaborations with retail partners.